No matter what our favorite materials might be, the most rewarding thing about jewelry design is creating wearable works of art. Today’s guest is Neena of Caprilicious Jewellery, whose designs showcase a wide range of style and talent, while incorporating some of the world’s most beautiful beading materials. Neena: I have always loved jewellery – a couple of years ago, a friend of mine made me a bracelet out of wire having been to a class at the weekend – I wanted to know more and we spent the evening talking about it. As far as I knew, I was not a particularly creative person – my sister was the one in our family credited with that reputation. The fact that my friend could make such a bracelet in a matter of hours, and at her first lesson, was encouraging and I decided to try my hand at it. I went to a semi professional jewellery school and got so involved in the whole idea of making my own jewellery, I went back over and over again for classes in different techniques and fell in love. Looking for distraction therapy after a family bereavement, I decided to write my own website capriliciousjewellery.com on a free web hosting service, and set up an Etsy outlet and Facebook page - and I was up and away! I had a steep learning curve – I knew nothing about photography, was a newbie at information technology, and I had all these new jewellery making techniques I had to master – all on a shoestring budget. Neena: My first piece was called Dew Fairy Dreams – it was a mixed media piece – I made faux jade gingko leaves out of polymer clay from a book by Tory Hughes. They were meant to be pendants, and each one should have been strung onto a chain singly- but I wasn’t happy with that look. I wired them onto a collar, filling the rest of the space with a cobwebby wire lace, and tiny creamy pearls – a couple of pearls were wired over the ‘leaves’ like dew drops - and that is how the necklace got its name. I used four pendants on the collar and one more, attached to the extender chain at the back of the necklace – I was so pleased with that piece – it seemed to tell me that I should carry on, that I did have creativity deep within me, albeit well hidden for so many years! It was almost a wrench to part with it - it was snapped up almost straight away and now lives in Manchester with a customer who has come back for more quite a few times since then. Tommy Garrison wrote this poem, and I reproduced it on my blog with his kind permission: Dew Fairy Dreams. Neena: Inspiration is all around me – a photograph, a painting, a leaf, colours in the evening sky – all sorts of things are stored away in my little brain, and come out to play unexpectedly. I love mythology, fairy tales, and I enjoy weaving a little tale around each piece I make for my blog. It tickles me when my customers remember the names of the pieces I make – they ask for ‘Isis’ – which is so much better that ‘that yellow and black necklace – you know the one – with a large pendant’ – which could mean anything. The true romantics amongst my customers like the fact that each piece has a concept and a story line behind it. My blog is where I explain my thought process to anyone who is interested, and to my surprise, I find that I love to write and a lot of people actually read what I put down – people are always telling me how much they enjoy my ramblings. Neena: I love colour, asymmetry, and contemporary design. I like to think I weave an intricate and elaborate tale into my designs, and have enjoyed writing my blog to verbalise this – I write my blog as I go along the working week – it helps to crystallize my thoughts and brings the designs alive in my mind. Pieces of music, stories from Greek Mythology – the sources of my inspiration are written down – and the piece of jewellery seems to grow from there. I cannot seem to create in dull colours – this has been tested by friends who have given me gemstone beads to work with in browns and greys, for instance – I immediately add a contrasting bright colour that lifts the entire piece to another level. Neena: Turquoise, cobalt, red – pillar box red, emerald, and more recently an acid Wasabi green, oranges and citrus yellow – this is the Caprilicious colour palate – add black and white, and most of my jewellery is in these colours. Inspirational Beading: What are some of your favorite beads and materials? Neena: I design a lot in copper – this used to be because of it’s affordability, and malleability as a wire – but now I find I love the rustic, warm look copper gives you in a piece of jewellery. Silver wire, polymer clay, and precious metal clay – they are all fun to play with – my favourite material tends to depend on the day of the week! For instance, Mondays, and Tuesdays are exhausting at the day job, so if I do pick something up, it will usually be a necklace that I string together, with elements I have already decided on. Wednesdays and Thursdays, I usually play with wire – it is on the weekends that I get time to make elements with polymer clay and precious metal clay. 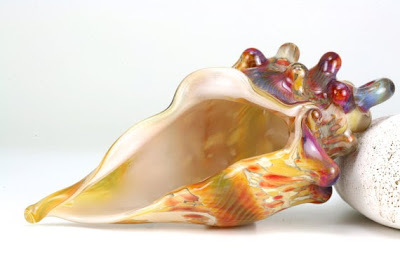 Polymer clay is exciting – the design options are endless, and the ability to mould colour thrills me to bits. I am in love with labradorite and blue agate, and the raw beauty of geodes and the druzy forms of gemstones appeals to me. Recently, I have discovered Solar Quartz, which is a cross section of a stalactite, and is usually a pale cream, but dyed in gorgeous colours – just yummy! Neena: I have a piece called ‘The Sorcerer's Apprentice’. 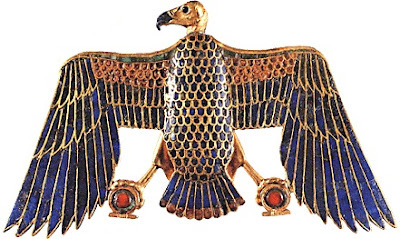 I bought the pendant on Etsy – it is obviously from the Middle East. I made all the main black and white beads myself, and added red Czech glass and a few shells for interest – I think it is a very striking piece, and I just love the simple theatricality of it. I must have been a theatrical personality in a previous life, and most definitely a foodie. I often describe jewellery and gemstones as ‘edible’, ‘yummy’, ‘scrumptious’ and ‘delicious’– a greedy person's terminology. 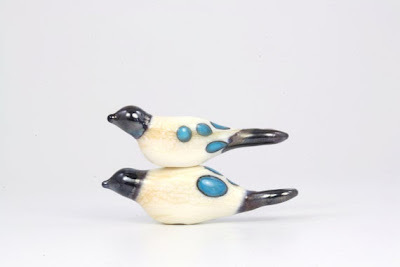 Neena: I came to jewellery making late – in my late forties – I had no idea that I had a single creative bone in my body, and can sometimes hardly believe that the jewellery on my website is made by me. I am innately shy, and my jewellery is my alter ego – it speaks for me and embodies my inner voice. There must be a lot of people out there who do not believe in their creative talent, and may pick up on my story – I hope they are inspired to try their hand at a creative pursuit – who knows what magic might flow from them? You can see more designs at Caprilicious Jewellery, and on Facebook. 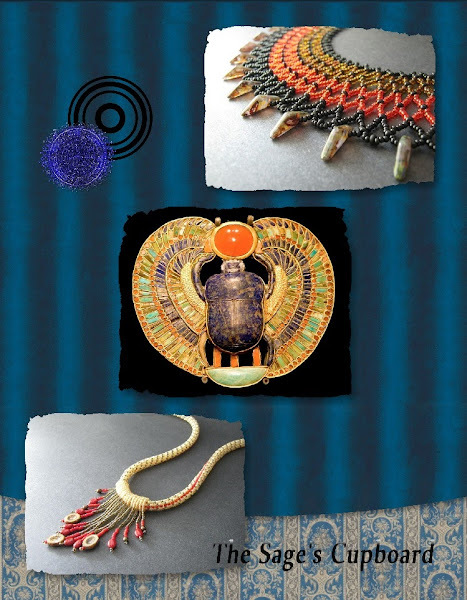 Check out Neena’s blog for insights into her beautiful jewelry inspirations. I’ve recently been researching traditional netting techniques, like those seen in African and Native American beadwork. Although there are plenty of examples of finished pieces, instructions and tutorials are difficult to come by. After studying a few designs, I decided to experiment a little with the techniques in a new collar variation. 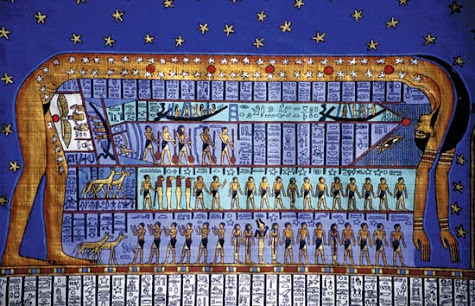 My inspiration was the Egyptian sky goddess Nut, whose blue body is seen covered with stars. With Egyptian tomb paintings in blue and gold in mind, I combined some cobalt white hearts with Autumn Tucson gold and got to work. I wanted to make sure that my finished collar would have a good curve, so I modified the stitch a little. Most of the nets are three beads long, with the exception of the outer row. Even though there are a lot more beads and stitches in this piece, it still worked up very quickly. Once the base netting was complete, I had to find the right proportions of beads to fill in the inner row. Rather than make the top row of netting smaller to create a curve, the tops of the beadwork are elongated, with a single bead atop each stitch to be cinched together. I tried several different patterns with the white hearts, but the size difference between the two bead types seemed to pose a problem. I finally settled on using two Japanese seed beads between each shaft, and the curve came out just right. 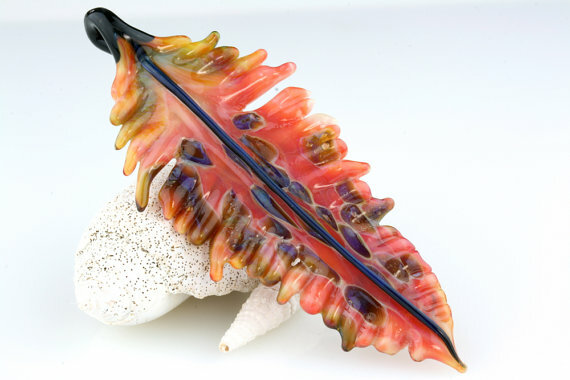 Today our guest is Lori Lochner - a lampwork artist with a flair for gorgeous color combinations and abstract designs. Her elaborate focal pieces like feathers, birds, and decorative glass shells are wonderful to behold. Lori: I bought my first beadmaking kit in 1995. It was a "hot-head" type torch and some crude glass in a little zip lock bag. What a horrible experience. I managed to make some lumpy beads and put the kit away. In 1996 I decided to take the plunge and buy a complete set up and start right. I bought a minor torch, a large selection of glass and tools. At the time I was seriously into glass fusing and was a silversmith. Lori: Yes, it was a lumpy black and white dot bead. I believe it threw it in my flower garden. Lori: I'm inspired by nature and organic forms. I adore flowers, pods, and sea creatures. I strive to mimic the subtle colorations and symmetry of the natural world. Pinterest also provides some wonderful eye candy when I'm seeking inspiration. My feed is heavy in the jewelry, textile and tribal crafts genre. Intricate patterning of tribal basketry, beadwork, jewelry and textiles in infinitely fascinating! 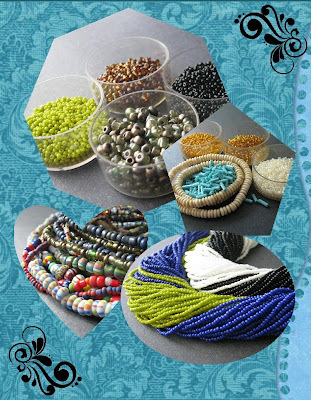 Inspirational Beading: What is your favorite color or combination to work with? Lori: Tough to nail down a favorite combination... I like to mix cool and warm colorations in my work to provide designers with flexibility when creating. A subtle addition of metallic and sparkle lends depth to a piece as well. Also matte and shiny. My work seems to be purple heavy. Lori: I really enjoy "off mandrel" work. In soft glass and especially in borosilicate glass. Hollow forms are fascinating in that they allow another dimension of "light-play" from within the form. When working with larger forms hollow work lends itself to better wearability. Inspirational Beading: What is the most interesting thing about your design process? Lori: I'm never without a sketch book. I have a little one in my purse and a simple composition notebook in the studio. Every morning I jot down the days production schedule and make drawings and notes of things I would like to accomplish at the torch. I also jot down music, books, ideas and inspirations while I'm working. Being an full time artist/craftsperson is such a solitary experience. I subscribe to many podcasts that keep me entertained while working. are a favorite. Each one is special and unique. When using borosilicate glass there is so much serendipity in the way the colors strike in the kiln. Lori: Recently I have been creating some feathers and they seem to be well received. When my production work is done for the day I follow my muse and create something unique usually from an idea that has been floating nebulously in my mind. 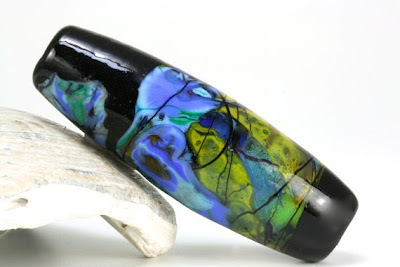 Lori also carries a fantastic selection of designer Czech glass in her Etsy shop. You can get updates on her latest creations on Facebook. This week I finally got around to setting up a little filing system for my growing collection of herringbone rings. I simply labeled some of my bead cups with sizes 7-10 and made room for them in the bottom of my beading tray. But when I sorted all of the rings I had made into the cups, the quantity looked painfully small. I need to step things up a little if I‘m going to have enough inventory for the holidays. Since I was between two projects and not ready to start the new one, I pulled out all of my seed bead boxes and druks, and started setting aside colors for future rings. I chose a handful of pinks, purples and oranges from the druks - colors I’m not likely to need desperately for upcoming projects. Then I gathered up some assorted seed beads with low quantities that I’ll probably never replenish - experimental colors and those that just don’t suit my work anymore. Combined in the right ways, they’ll all make some fantastic rings. I’ve got two down and one more on the go, then I’ll have to get back to regular designs again. I’ll be keeping this supply of leftover beads handy to work on a ring or two whenever I get the chance. Summer is just about at an end, and it’s time to look ahead to fall projects and even holiday designs. With only a few months left in the year, it’s also a good time to check up on goals and to-do lists. This think-ahead mindset is apparent in my favorite beads this month. First up are these gorgeous red Rulla seed beads from Fusion Beads. I’ve been looking forward to trying new things, and perhaps coming up with some new project tutorials for Inspirational Beading, and these two-hole beads are the perfect thing to get ideas rolling. I love the rounded shape, which seems much more ‘beady’ than Tilas. I wasn't sure what I wanted to make when I decided to try them out, so I went with a color that I could easily work into my designs. I think they're calling out for some cobalt white hearts! These simple wooden macramé beads don’t exactly make me swoon with magpie delight, but I’m still really excited about them. I’ve got all kinds of new designs planned for fall that include bead covered beads, and perhaps even some hand painted goodies. I've already got a few pieces underway, including the trio of beaded beads that were glimpsed on a recent bead tray update. The technique is such a fun quick-fix that I've grown quite attached to it. 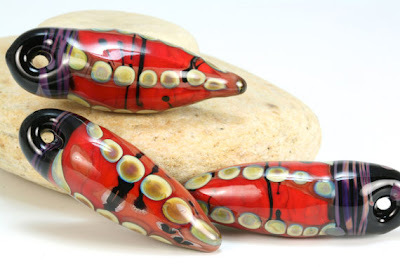 Finally, we have some amazing, stunning, delicious Czech daggers from Aunties Beads. I love the intense blue color, and they feel amazing on the strand. I hope these will come in handy either during this year’s Egyptian Gods challenge, or in the 2014 challenge, which is just around the corner. I still have to cut into some of my other drops and daggers, yes, but you can never have too many options for accent beads. What beads are you focused on this month? It’s time to reveal the winner of our latest giveaway! I’ve consulted with the Random.org crystal ball, and the MyMemories Digital Scrapbooking Suite goes to Tavia Ladd of Tavia’s Beadiful Life. Thank you so much to everyone who entered! Last week I shared a few examples of the beautiful layouts and jewelry collages you can make with MyMemories. To show what else you can do with a few minutes and some of your best photos, I put together a brand new bead palettes video. This time around, I used collages just for the headings of each theme - the theme for this year’s palette roundup. It’s interesting to see how these bead picks can look new again when grouped together by themes like earth, air, water, and fire. If you’d like to give MyMemories a try, you can download a trial version of the suite for free. Inspirational Beading readers can also receive a discount on the full digital scrapbooking package by using coupon code STMMMS31747. I would like to thank Story Rock Inc. for giving me the opportunity to try out MyMemories software. Inspirational Beading has not received compensation for featuring products in this review, however, using the coupon code STMMMS31747 to purchase MyMemories Suite v4 will earn a commission for Inspirational Beading. The philosophy of getting back on the horse, or trying again until you succeed is one that most definitely applies to beading. After attempting curved herringbone several times over the years, I finally found the perfect pattern to create an entire collar necklace. Inspired by the feathers of the vulture goddess Nekhbet, I was determined to use herringbone for my latest Egyptian gods collar. The trick is to get the right bead sizes in the right proportions to create a wide curve. And since backtracking herringbone is much more difficult than netting or chevron chain, I knew I was risking a lot of thread to trial and error. After one unsuccessful attempt, I made some adjustments and created a pattern that worked, resulting in a great collar. The beadwork does have a slight tendency to ruffle, owing partly to the size jump between Japanese 11/os and Czech 8/os. Still, the collar has a great drape, and definitely has the Egyptian look that I wanted. I can’t wait to experiment a lot more with this stitch to see what else it can do! This week’s bead tray is looking really fresh in my eyes. This is how it appeared just minutes after finally finishing the herringbone collar I’ve been working on for two weeks, and I couldn't wait to pull out some new colors. I’m taking a quick break to catch up on herringbone rings - there are 3 druks set aside during previous projects to use - and then it’s on to something totally new. My original plan for making a lot of rings was to keep it simple and go with sold colored bands. Then I started getting all these interesting ideas for stripes and fun palettes. Along the way, I discovered that I really, really like two-tone bands, with the contrasting colors at either edge. This is the pattern I’ll be working with for these three rings. Usually I’ll just grab whatever colors are handy that will make a good match for the druks I’ve saved, but this time around I took a little more time to find just the right palettes. It’s hard to resist the temptation to only use leftover colors and the dregs of seed bead packets - although small projects like rings are a great way to clean up lingering colors in one’s bead stash. Here’s how Nekhbet’s collar turned out. I decided at the last minute not to put any trim on the edges, and just leave the bridges bare. Any extra beadwork would have diminished the look of the collar, I think. Today I put our Pantone Fall 2013 bead palettes to the test with some back to school inspired fashion picks. Sticking closely to the themes that each bead trio created, with clothes and jewelry that are perfect for fall, I combined each of the color triads with fun messages. All three fashion sets include a fabulous and versatile multistrand necklace. The Debutante palette featured Samba, Linden, and Green Lichen in a vintage inspired look. In keeping with the formal dance theme, I chose some great dresses and pearly accessories. It was tough to find raspberry red hues like Samba, but intense reds and creams always go together. The deep greens and slate grays add lots of class. Next up was the slightly more whimsical Ratatouille. With a lunch inspired theme, I combined fresh and vibrant purples and orange, as close to Acai and Koi as could be. Turbulence gray and some softer stone grays soothe the palette and provide a great backdrop for wild accessories. Getaway is still by far my favorite combination of the three, featuring Emerald, Mykonos, and Carafe. This set focuses on late summer and early fall fashions that are great for last minute trips to the cabin, with hints of aquatic blues. Are you planning your fall and winter designs yet? What are you making? Thanks to digital photography and all of its perks, sharing images of your beadwork is incredibly easy and fun. It’s almost too fun - there are so many exciting ways to showcase design photos that it can become a second hobby to compete with beading. Awhile back, we looked at the wonderful creations that can be made with the MyMemories digital scrapbooking suite. It’s great for creating shop and blog banners, Twitter backgrounds, landing pages, videos and professional-looking business card graphics. With a great printer, you can even use your jewelry collages to create lookbooks of your work for craft fairs and consignment pitches. The easy to use program is also fantastic for planning designs, color palettes, and saving your ideas in a beautiful digital album. For the traveling beader, finished scrapbook projects can be turned into physical items and printables like gift boxes, party favors and loot bags - great for home parties and craft shows. Scrapbook files created with MyMemories can be printed from home, or you can take your files with you to a print shop for a professional product. The possibilities are endless. In addition to the basic suite, which includes tons of pre-made designer layouts, plus papers and embellishments for designing your own unique scrapbook pages, you can add to your scrapbooking repertoire with hundreds of downloadable kits and goodies. New background papers, stickers, and decorations are just a click away, and you can mix and match any elements you like to get the perfect collage. Many user created add-ons and scrapbooking kits are available for free, and download instantly, so you can make quick pages or add exciting details to your digital collages. and Blueberry Combo Pack by Gypsy’s Scrapbooking. MyMemories recently released version 4 of the scrapbooking suite, with new and improved features that any crafter will love. And the best part is that all MyMemories software comes with a Limited Use License that allows you to promote your jewelry or craft business with your creations. For your chance to win a free digital copy of MyMemories Suite v4 Scrapbooking Software, visit the amazing selection of downloadable goodies at MyMemories. Then head back here and leave a comment letting us know which product or scrapbook theme is your favorite, and how you would use it. Anything goes! One lucky winner will be drawn on Thursday August 22, 2013. This giveaway is open to international readers (prize is for the downloadable full version of MyMemories). Update: The draw has closed. Inspirational Beading readers can use coupon code STMMMS31747 for a discount on their purchase of MyMemories software. For more information about digital scrapbooking, tutorials and extra goodies, you can also check out MyMemories on Facebook and Youtube. I would like to thank Story Rock Inc. for giving me the opportunity to try out MyMemories software. Inspirational Beading has not received compensation for featuring products in this review, however, using the coupon code STMMMS31747 to purchase MyMemories Suite v4 will earn a commission for Inspirational Beading. I have shared my sincere opinions of this product - it is fantastic! This week’s bead tray has changed only slightly from last week, as I’m still working on a curved herringbone collar. After a few more inches of beadwork on the original, it became apparent that the curve was a little too extreme, so it was back to the drawing board. I added a few more rows of beadwork, which required some additional colors as well. In my first attempt, I had arranged the opaque Czech seed beads by color, but some differences in size became apparent, so I had to rework the pattern. This put all of the red and white beads together, so I included a single row of topaz to make things look a little more Egyptian. With the additional rows, the beadwork is taking a lot longer, and I’ll be at it for several more days at least. I took a very brief break to make some beaded beads for a side project, just to keep from getting bored. They need one more coat of lacquer, and then it’s back to the collar full time. It’s time again to get some fresh color inspiration from the realm of fashion and design. This year’s roundup for the autumn and winter season focuses on a theme of change - not just turning leaves and all of our favorite fall changes, but the ability for carefully chosen colors to morph from one style to the next. 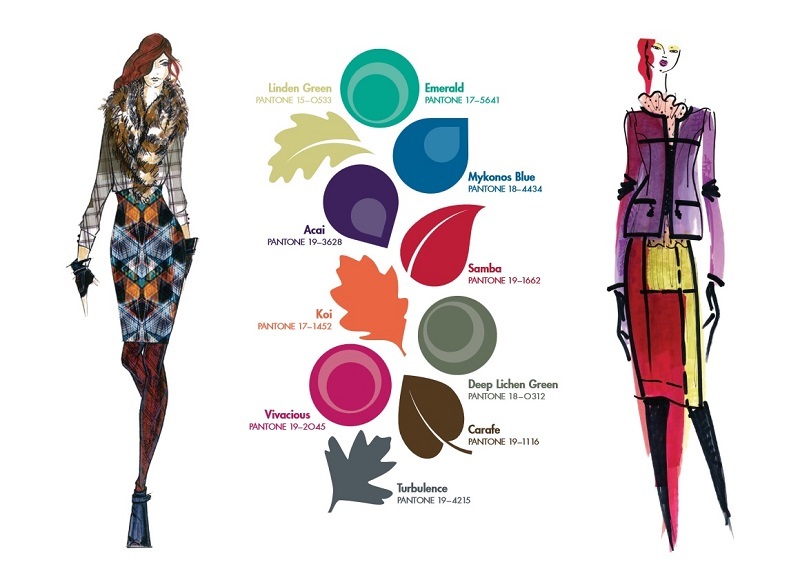 Pantone’s fall colors for women this year are a gorgeous mix of rich neutrals and vibrant shades that would all be right at home in a flourishing orchard. Along with color of the year Emerald, we have Mykonos Blue, Acai Purple, Samba Red, Koi Orange, and Vivacious Pink. The backup section is filled beautifully with Linden Green, Deep Lichen Green, Carafe Brown, and Turbulence Gray. To make three color trio ideas for you, I had to omit one of the ten Pantone picks. After mentally scanning my bead stash, I decided to leave out pink. Then I did my best to match beads with each of the remaining hues and combine them into perfect clusters of color. Samba is by far my favorite shade in this mix - it’s like a perfect, juicy raspberry - so I started with ruby red druks. The transparency gives them that same juicy look, enhanced by opalescent cream seed beads standing in for Linden Green. I liked the vintage, lipstick-and-lace look of this pairing, so I finished it with the antique flourish of Deep Lichen Green. My metallic grey-olive Indonesian glass beads were a perfect fit to create Debutante. Next I had to tackle the tricky Koi, and it seemed safest to go with a purple and orange combination. Some lovely tagua slices fit Acai really well, with lustered-coral orange in perfect contrast. Together they look like a colorful selection of freshly harvested veggies. To keep things simple, I cooled off Ratatouille with some Turbulence grey Delicas. Finally we’re left with three very beautiful colors. This trio is one that would work with just about any project. I used some rich brown wood heishi for Carafe, and Capri lined cubes for Mykonos. The bright, watery Emerald was a tough green to match, but I finally found it in turquoise lined amber seed beads. This trio reminded me of lakeside woods and log cabins, so I decide to call it Getaway. Do you have a favorite color from this year’s Pantone picks? With the huge variety of bead color and finishes available to us, one might think that every color palette would be perfect, sensational, or spot on. Perhaps if every beader lived across the street from a huge bead store and had an unlimited budget, this might be the case. Tragically, most of use are limited to what we’ve got, or what we can occasionally get our hands on, so it’s a real treat when a palette totally clicks and couldn’t be improved even a little bit. My most recent Egyptian Gods piece was inspired by the mysterious and lovely Nephthys - daughter of the earth and sky, wife of chaos, and mother of the god of mummification. 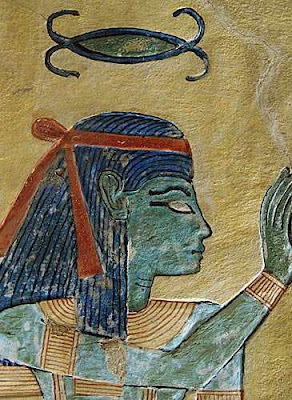 Like her sister Isis, Nephthys was a healer associated with kites (a bird of prey), but she was an underworld goddess representing darkness, decay, and regeneration. She embodied the cycle of life where new growth springs forth from death. I knew right away which colors I wanted for Nephthys. Lots of black was essential, along with hints of green - not fresh and vibrant greens, but dark and mysterious ones. I mixed together some dark emerald and brown 8/o’s, some Indonsian glass beads in a brownish-green, and olive green seed beads, which look a little sinister among the other colors. I also grabbed some lime green long magatamas, hoping to incorporate the same wing-tipped design that worked so well for Isis. When I brought all of the colors together, I decided to set the magatamas aside and let the more organic glass beads take the spotlight, and then everything just clicked. Who knew that darkness and decay could look so pretty? I created a netting pattern with just a single band of olive green, representing Nephthys’ domain, the edge of the barren Egyptian desert. The small green circle reminds me of my favorite poem, Ebb by Edna St. Vincent Millay - “…A little tepid pool, Drying inward from the edge”. Nearly halfway through, I decided to bring the magatamas back in for a little texture. There are just a few ‘feathers’ at the center of the collar, facing away from each other. I couldn’t resist a connection between Nephthys and Isis. Although I do wish the green was a little less electric, I love the way the shapes of the beads work in the collar, even in just a small section. When learning new beading techniques, it can be easy to get discouraged by the results of first attempts. The trick to mastering a new stitch is to keep trying - even if you have to walk away for awhile before picking it up again. I have always admired curved herringbone weave, made with beads of varying sizes. Like spiral peyote, it’s a little tricky to get the hang of. The first few attempts I made with the stitch turned out horribly, so it’s been years since I’ve given it a shot. For my latest Egyptian Gods necklace, I wanted a collar with close-fitting stitches to imitate vulture wings, and herringbone was a perfect match. So far things are going great, although it took a long time to decide on a palette and pattern. I wanted varying shades of blue, red, and white or gold, but they had to be done in a certain order to get the right curve. As usual, I was a bit limited by quantities. After stitching the first length of thread, I was a little worried that the palette might look too much like a Fourth of July banner; but I couldn’t decide on any alternatives that I liked more, so I stuck with it. Sure enough, after a few more rows things evened out and the collar took on it’s own personality. Last week's rainbow rings turned out great, although I'm falling behind on rings again. I just couldn't resist jumping right into this piece, so I'll have at least 3 druks waiting once this necklace is complete. Many books on learning the art of beadweaving recommend experimenting with colors by weaving samples - collections of beads in panels such as peyote stitch - as a way to learn about the way that beads look together. Even when I was just starting out, I didn’t have nearly enough patience for bead homework, and I’m not much for doing beadwork that won’t ‘be’ something when I’m done. I have however, discovered the benefits of playing with color before starting a project. For our last set of bead color palettes, we looked at some combinations for pretty striped glass beads from Java. One of the palettes looked so great, I ended up using it as inspiration for a project, and it turned out perfectly. This month, I want to give it another shot. I have another strand of striped Java beads, this time in a lovely deep green with red and yellow stripes. The colors and shapes make me think of cacti, and had me leaning towards Southwestern themes for most of the palettes. I started with some complements. Pepper red looked great with both the base green and the stripes - tangy and vibrant. I wanted to add another element that would help remove any festive tones, and decided to use another green to push things over the edge. Cactus green was a perfect match for both the red seed beads and the stripes in Pico de Gallo. I wanted to see how things would go with a more neutral palette, and started with bone white for a nice, sandy background. The green and soft beige worked really well together, but needed just a little extra color. Just for fun, I added some soft orange and got a cool Desert Dawn. Finally, I couldn’t resist a splash of turquoise. Rather than go with the obvious coral red, which might not have left any room for the striped beads to stand out, I added some Autumn Tucson gold. The combination of bright blue with a more natural yellow really enhances the colors in the Java beads. Adobe reminds me of brightly painted buildings in the sun. Do you ever experiment and play with beadwork for fun or for theory? Every beader knows that making great bead palettes is more than just combining the right colors - the variety of bead finishes available makes the job even more of a challenge. Some beads really do go with everything - like shiny opaque black - but others are hard to match. When you do find a combination of colors and finishes that clicks, its like magic. 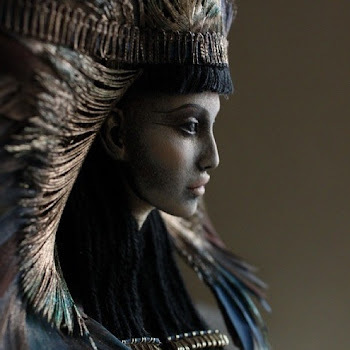 When I started pulling beads for the Egyptian warrior goddess Neith, I had only a basic idea in mind, Neith was a bit of a split-personality goddess - sometimes she was a fierce warrior, and sometimes a gentle mother goddess. She lead armies into battle, and taught the women of Egypt to weave on a loom after using hers to create the world. I wanted to capture this dual nature simply with color, but the design I wanted called for 8/o seed beads, and my choices there are still a little limited (though much better than they’ve ever been). I finally decided on not just contrasting colors, but finishes as well. For the warrior side, I chose transparent ruby red and rootbeer brown. For the mother side, opaque white and turquoise blue could easily represent linen and water. The four colors worked together perfectly for my necklace rope, and all it needed were the right accents. Luckily, I had a perfect counterpart for each. Tortoiseshell and ruby luster druks were easy choices. To add a little texture I included some lovely turquoise blue bone beads, and some Shiva Eye coins for a feminine touch. There are so many beading books in print today, and more being written all the time. Some are good, some are great, and some of them wow you with every page. 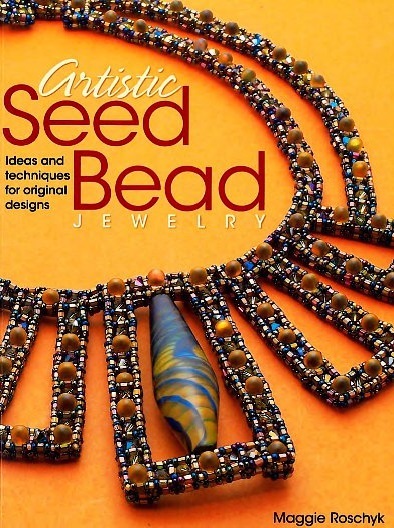 Maggie Roschyk’s fabulous guide to Artistic Seed Bead Jewelry is one of those books - the kind that you want to thumb through again and again, the kind that makes you want to get out your beads and play. What makes this book so inspiring is Maggie’s unique style of beadwork, which often focuses on using smaller beaded components to construct a harmonious whole, rather than weaving a single design all in one motion. From RAW bezelled cubes to patterned beaded beads, Maggie shows how powerful small can be. 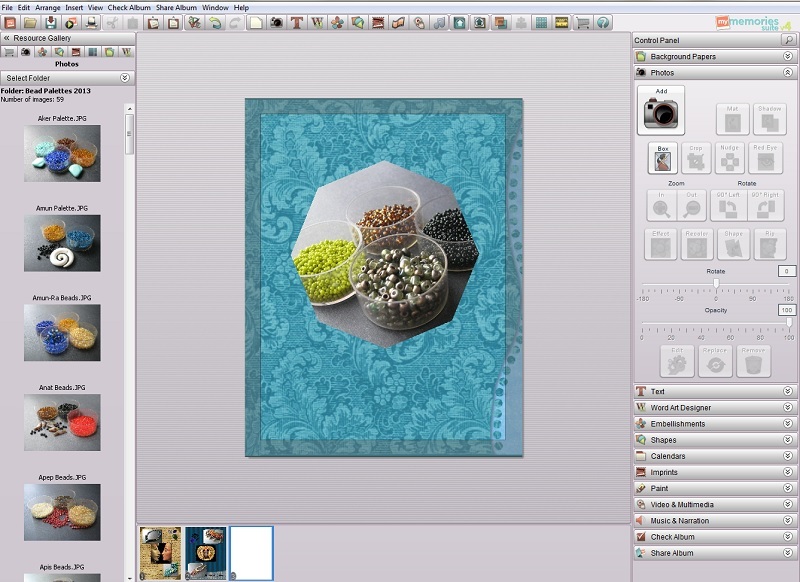 Many of the techniques and beadwork styles explored are featured in multiple projects with varying sizes, so readers can choose to tackle designs that fit their budget and timetable. Seed beads take center stage in the projects of course, but many of the designs incorporate stunning accent beads like crystals and stones, and gorgeous art glass focals. Each design is a perfect marriage of elements, from the tiniest seed bead to the largest lampwork disc. Techniques include tubular herringbone, bead embroidery, sculptural peyote stitch, cubic right angle weave, and circular brick stitch - just to name a few. 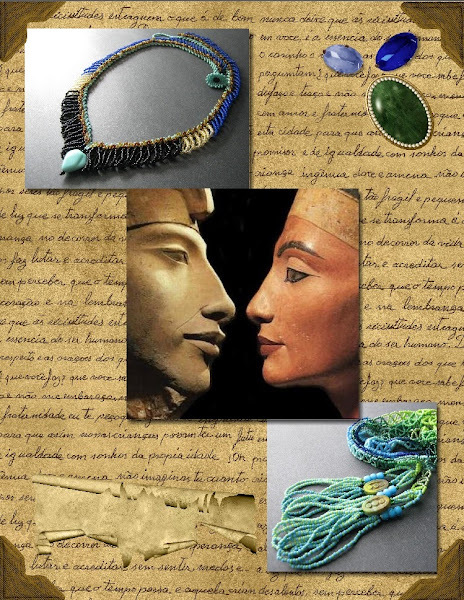 There are thirteen jewelry and beading projects in all, but some of the best inspiration comes from the introduction. Maggie explains the cultivation of ideas, color use, bead selection, and tools in a way that will make even a timid beader confident in their design abilities.